Attuned to the latest advances and products, Lowcountry Hearing Healthcare in Charleston, South Carolina, is committed to providing patients with state-of-the-art technology. Led by a top licensed audilogist, every product is sold with the highest level of customer service you can expect from an experienced and trusted team. The founder and president of Lowcountry Hearing Healthcare, Michelle Dressler-Lomano has been serving the hearing impaired in the Charleston areas for more than ten years. 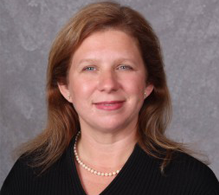 Michelle Dressler-Lomano started her professional career as an audiologist in 1991. She obtained her Masters + 30 of Audiology in 1994. The practice has been located in Charleston since 2005. As a member of the American Academy http://hermes.myregisteredsite.com/matrix/builder/index.mtx;jsessionid=467C4A281908AD833BCA0B08310C61AB?tab=2of Audiology™, Michelle Dressler-Lomano is proud to have helped thousands of people improve the quality of their lives through better hearing. Choosing a hearing professional is one of the most important decisions you will ever make. Rest assured that the personal relationships you will develop with our staff will continue long after your initial appointment. We understand that ongoing counseling, periodic adjustments, and regular hearing aid cleanings are vital to your continued satisfaction with your investment.